Jordan Brand’s flagship model this year is set to be released in arguably one of the best colorways recently. 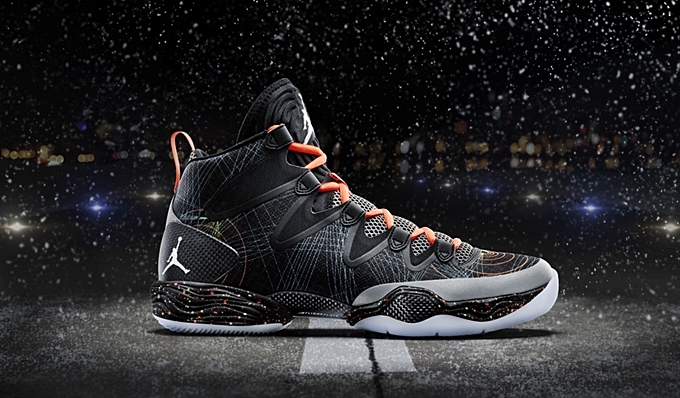 The Air Jordan XX8 SE is set to come out in the “Flight Before Christmas” edition today, December 24th in selected JB accounts all over the world. Part of the 2013 Christmas Pack, this shoe features a black-based with a flight map pattern throughout the upper part. Oklahoma City Thunder star Russell Westbrook is expected to sport this shoe in their Christmas Day game against the New York Knicks. Make sure to check this kick out today!